My husband and I are having a problem. We have two small children, ages 18-months and six-months. His parents want to come over on Christmas Eve and spend the night. They live about 45 minutes away and travel often so that is not the problem. They say they want to be here to see the kids wake up on Christmas morning. I would like it to be just the four of us on Christmas morning. I want it to be a special family time for just us; a tradition that we share and that is private for us. I also feel like they had their own children and had that time to do the same. They are the grandparents and unfortunately will miss some of the things that they would like to be there for. But I also feel guilty because I know it would mean a lot to them to see the boys first thing in the morning on Christmas. I also think that it would be special when they got there and had their own time with them rather than intrude on the special thing of Santa. My husband thinks we should let them come this year but tell them that it would not be the same in the following years. I also should mention that Christmas dinner is at our house with my family and members of his extended family, probably about 25 people. I would like you to comment on this situation. Am I being too hard? Should we let them come? Also to give some other info, I really like my in-laws and think they are wonderful grandparents, but they are a little over the edge when it comes to the kids. They are very overbearing, always have to be right in the middle of everything, are self-centered and always want the kids by them. Please help!!!!!!!!!!!!! 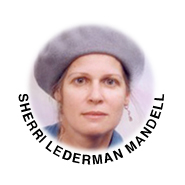 Our columnist Sheri Lederman Mandell wrote the first answer. It sounds to me as if you're feeling a bit crowded in by your husband's parents. You mention that they're overbearing at times. You seem to need some space of your own. You're already having a lot of family over for Christmas dinner. And you want to be alone on Christmas morning with your kids and husband to share a special time alone. Your husband's solution -- telling your in-laws that this year will be the last one for them to sleep at your house and join you for Christmas morning-- doesn't seem like one you're going to feel comfortable with. On the other hand, telling them that they can't come could poison the atmosphere between you. It seems like your husband could be enlisted to be more direct with his parents -- so that you're not the "bad guy.'' Could he tell them that both of you would prefer that they come later in the morning? Maybe you need to explain to your husband how important this time is to you. That it's one you imagined for a long time, and want to experience without the distraction of having to deal with in-laws. Then, when they come over a little later in the morning, you'll be happy to see them and won't feel as if you're being invaded. The next answer was written by Leah Shifrin Averick, author of Don't Call Me Mom: How to Improve Your In-Law Relationships and an expert in in-law relationships. Wanting special moments alone with the four of you on Christmas morning is understandable. I applaud your discussing the dilemma with your husband first. Both of you sound good-naturedly generous, inviting 25 members of your extended families to Christmas dinner. Because you don't agree with your husband's solution you have time before the holiday to negotiate and ask his parents to come later; you may offer to videotape the early morning wake-up, and then give the videotape to the grandparents. Another option is to give your gifts to the boys when they awake and have your special time with them. It is too stimulating for children to get too many gifts at once, anyway. In addition, for infants and parents, having company that early could be upsetting to their morning routine. When the grandparents arrive, they can give their gifts to the children later in the morning and have their special moments. Perhaps they will offer to baby-sit while you set up Christmas dinner for the 25 guests. Have your husband explain, "We would like to set up a new tradition, a new precedent. First we spend time alone with the children, then you may have time alone with them." It is important that your husband tell his parents that the two of you want special time alone with the children Christmas morning and that the grandparents can have their own time later. Be sure to thank the in-laws for being wonderful grandparents; make sure your husband also thanks them. When your in-laws are "very over-bearing," ask your husband to set limits with them. Your in-laws will more readily accept what their son, your husband, says than what you say. The next answer was written by Leah Abramowitz, MSW, a geriatric social worker whose specialties include family relationships with older parents. You posted an interesting, and not unusual question in the field of intergenerational relationships, regarding your in-law's desire to share that great moment on Christmas morning when the kids, their grandchildren, wake up and open their presents. Your dilemma is that that's a very private moment, which belongs to you and your husband, but you also understand their desire to be in on a special event. I can't decide for you how to choose, but I can try to help you put things into perspective. I think the issue is, "Do you perform an act of kindness or do you do the thing you want to do." That's the kind of dilemma "good" people are often faced with. The others couldn't care less. Being as it's the season for moral and spiritual assessment, you may say that my wishes aren't important. I should do what's right -- and it's certainly the right thing to allow in-laws to be guests in your house at the time they choose, even if it's not convenient. You might even consider that you'd feel terrible if in a few days/months/ years they were in a fatal car accident or one of them had suffered a heart attack, God forbid, after you'd turned them down -- as gracefully and politely as possible of course, but nevertheless turned them down. You might also consider that under which of the two alternatives the greater number of people benefit. That is, if the grandparents are there when the kids open their presents, I'm sure the children gain & the older generation gains. Children, I hope you agree with me, get a great deal out of grandparents, above and beyond presents. They get LOVE, admiration & devotion, and the accumulated life experience of two more people who adore them. If on the other hand having them present will make you nervous and frustrated, if you'll be constantly thinking how overbearing and self-centered they act with YOUR children, if they ruin your Christmas celebration, maybe the above gain will be cancelled out by "the damage" -- self inflicted as it is. We tend to be influenced in our concept of how family celebrations should be observed by how we were brought up. Did you have an extended family present in your parents' home when you were a child? Did you have the benefit of caring grandparents? I'm pleased to note that you like your in-laws, a gift in it's own right; and moreover your husband is trying to find a compromise solution, which shows that he's between the desires of his wife and the desires of his parents, and it's not an easy position to be in. It's important to note one more thing. Even if you decide you'll have them over on Christmas morning because it means so much to them, that doesn't mean that you can't "direct traffic" as to their interaction with your children. If they act obnoxiously, or do things you don't like, it is in your jurisdiction politely, but firmly to explain, "We don't do X," or "I don't want you to give them Y." Better yet, in such situations, have your husband explain your reservations about some manner of behavior rather than you, and let him speak in the plural first person, e.g. "We would rather not have the children get candy before dinner," or something of that nature. So it's still up to you. In this case, your brave undertaking to host 25 family members for the holiday dinner, which is enough to try the fortitude of any young housewife, complements Christmas. I hope some of the guests are helping you with the preparations. Hopefully, under the circumstances, since the Christmas season involves much more than gifts under the Christmas tree you'll come to the right decision. And if in the end it wasn't the right decision, there's still, as your husband suggested, next year. I think all the advice of the previous three women is superb, so I'm not going to reinvent the wheel by repeating it. They came up with some wonderful ideas and any of them would work well, I think. You just have to choose what's right for you. For my part, I'd like to put a very personal spin on things. I'm willing to share my story because I think it can help you and others. When I was a young bride, I lived far away from my parents and close by my in-laws. I went through all the things any young bride goes through --resenting what I interpreted as intrusions on their part into our lives, whether it was unsolicited advice, comments on our style of child raising or whatever. I was lucky because I recognized that they really meant well, and after I expressed myself clearly, my in-laws were wise enough to keep their thoughts in these areas to themselves. To give myself credit also, I learned when to just smile and keep silent. I knew that I had a lot to learn from these wise people, who had raised five children of their own. My parents, on the other hand, live abroad. They saw and still see our children very rarely. I discovered, once I had children of my own, that all the adolescent mother-daughter conflicts that passed me by, came into full bloom. I found myself occasionally acting and reacting to my mom like a teenager to well meant suggestions, no matter how valid they were or how kindly they were offered. Maybe the closeness of the relationship made it more difficult for me to learn how to just "smile and keep silent." My recognition of their good intentions and wisdom did little to assuage my desire to not receive advice. Now, my in-laws have passed away. My parents do not feel strong enough to travel and it is not easy -- either logistically (work, school...) or financially to pick up a family of eight (nine, with a new son-in-law) and make frequent trips. So we do phone calls and gift baskets. I hold the receiver nearby as my daughter strums her guitar so my dad can hear it. He shares with me his thoughts on the latest biography he's read. My mom gets updated on everyone's activities. The kids sing "Happy Birthday" to them. Occasionally a few of them are sent for a few weeks, or I stop in for a weekend, while traveling on business. I keep my heart from breaking at holiday times by dropping into denial. I just don't think about it. I look around at my full and happy brood and pray that I'll always have the joy of having at least a few of them near by. I would give anything today to have my in-laws and parents by our side this week as we light Chanukah candles. As a matter of fact, I'm writing these lines with tears in my eyes. I guess not even denial can last forever. Good luck in whatever path you choose, and have a happy, loving and joyous holiday. Leah Abramowitz is a geriatric social worker with more than 30 years experience. She founded a day center, called Melabev, for the cognitively impaired in Jerusalem and the vicinity. She is also a free lance writer and the author of "Tales of Nehama", on the late biblical scholar Professor Nehama Leibowitz. 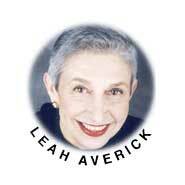 Leah Shifrin Averick is a graduate of Brooklyn College and the University of Chicago. She is a clinical social worker who has had much persona experience in the area of in-law relationships, having been a daughter, sister, wife, mother-in-law, ex-mother-in-law, sister-in-law, and grandmother. She has appeared as an in-law relationship expert on manynational television and radio talk shows including : OPRAH, GERALDO, and MONTEL WILLIAMS. Ms. Averick is the author of a book on in-law relationships: Don't Call Me Mom: How to Improve Your In-Law Relationships. Second Time Widow – How do I Emerge from the Slump? Expert Comments on The Drama "Babying Mom"